Scientists at The Scripps Research Institute have discovered the details of a brain-to-body signaling circuit that enables weight loss independently of food intake. The weight-loss circuit is activated by combined signals from the neurotransmitters serotonin and adrenaline. “Boosting serotonin signaling has been seen as a viable strategy for weight loss in people, but our results hint that boosting serotonin plus adrenaline should produce more potent effects — and there is already some evidence that that’s the case,” said the lead researcher for the study. Serotonin signaling, which can be increased artificially by some diet and antidepressant drugs, has long been known to reduce weight. Until recently, scientists assumed that it does so largely by suppressing appetite and food intake. The principal researcher showed that serotonin changes food intake and fat levels via separate signaling pathways. “We could make the animals we studied lose fat even as they ate more,” she said. Her experiments found that serotonin’s food-intake-suppressing and weight-loss effects are separable. Their most surprising discovery was that serotonin isn’t the sole driver of this weight-loss pathway, but works in concert with another neurotransmitter, a version of adrenaline. “That was a very interesting finding, especially since other studies suggest that these two neurotransmitters tend to oppose each other’s functions,” said researcher. The human experience with weight-loss drugs already demonstrates such a fat-loss circuit. Serotonin-plus-adrenaline boosting therapies, the most prominent of which was fenfluramine-phentermine (“fen-phen”), have tended to do better at cutting weight than serotonin-boosting therapies alone. Unfortunately, the serotonin-boosting elements of these compounds have often been blamed for cardiovascular side effects — fenfluramine, for example, was banned by the FDA in 1997 — but in principle, future combination therapies could be designed to avoid producing such side effects. Air-are you deep diaphragm breathing to oxygenate your body? Water-are you drinking 32 ounces of distilled or reverse osmosis water per 50/lbs per body weight per day? Sleep-are you sleeping 8.0 hours with 3.0 of them before midnight? Exercise-are you exercising 30 minutes every day? 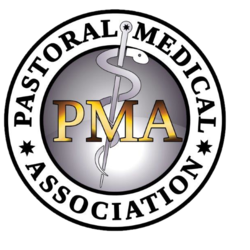 Fasting-are you fasting from the normal Standard American Diet (SAD)? Prayer-are you taking the time throughout your day to regularly still your mind so you can hear the voice of God spoken into your heart? Food-are you consuming a diet of living/raw plant food which has the highest energy, bioelectricity, enzymes and bioavailable nutrient content to either maintain or restore your health? THIS IS THE BIG ONE IF YOU WANT TO EAT MORE AND WEIGH LESS. An uncooked baked potato with skin 7oz is 154 calories. Cook that same potato is now 255 calories. What happened? Cooked food causes a tremendous amount of unnecessary calories. Unlike cooked potatoes, some of the starch in raw potatoes is not fully digested. This not fully digested starch passes through the small intestine into the large intestine, where it ends up being fermented by the beneficial bacteria that live in the colon. This fermentation of the starch increases the production of butyrate, a fatty acid that is associated with very beneficial effects on diseases of the colon including decreasing colon cancer risk. The other fact to understand is that cooking increases blood sugar and sugar feeds inflammation, disease and cancer. A raw potato has a glycemic index of 25 while a cooked potato tops the chart at 105. More sugar means more calories, more weight, more inflammation and more disease. So what is the bottom line? Eat more living and raw plants in the form of vegetables, seeds, nuts, avocados and start cutting out the cooked starches like the bread, pasta, potato and rice. Make sure you are full from the bulk from the vegetables instead of the bulk from the starch or animal protein. So, how do you eat more and weigh less? 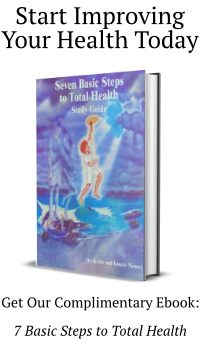 Start planting the 7 Basic Steps to Total Health every day and you will see them start to grow and eventually reap the harvest of Total Health of Body, Mind and Spirit.